What’s the biggest risk for the Multipassionate? – Multipassionate! Just watched a fascinating video by Scott Dinsmore, creator of Live Your Legend. Scott is one of my favorite transformational gurus (If that’s a valid term) and I’ve really learned a lot from him. As a Multipassionate, I am rarely satisfied with life as it is, at least not for long. I was speaking with a friend about the day job I am working at right now. I have worked at the same middle school for nearly six years now, and he remembered that my job had ended at one point. It had, but I was able to find another job at the same school. I’ve had five different jobs in those six years. Emilie Wapnick talks about “transferable skills” being one of the advantages of multipotentialty. I guess that has given me an advantage in this situation. It gives all of us advantages in our every day lives. We can take risks because our unique abilities enable us to succeed in a variety of situations. Scott explains that most of us think of risk in an entirely wrong way. We fear change, because it’s uncertain. We fear failure, because we have only so much control over what is going to happen. And so we’re frozen by our fears, not taking risks because of the negative possibilities that confront us. But seriously, even if we never take the risk, change will come anyway, possibilities are always uncertain, we have little control over what will happen if we stay in our comfort zones. And for the Multipassionate, those comfort zones may be like the amber that traps the mosquito. Safe, but unfulfilled, not alive. Scott makes the excellent point that taking the safe path is often the worst possible decision. He says the worst risk is doing nothing. Not acting, not choosing, not making change. What’s the worst that could happen? Things don’t work out the way you’d planned. Since when does everything work out the way you had planned? You make the choice, you take the risk, maybe it works out, maybe it doesn’t. If it does, great, you’ve moved ahead with your life. If it doesn’t, you’ve learned something. You put the lesson to work an move on. Don’t let external factors determine your path. 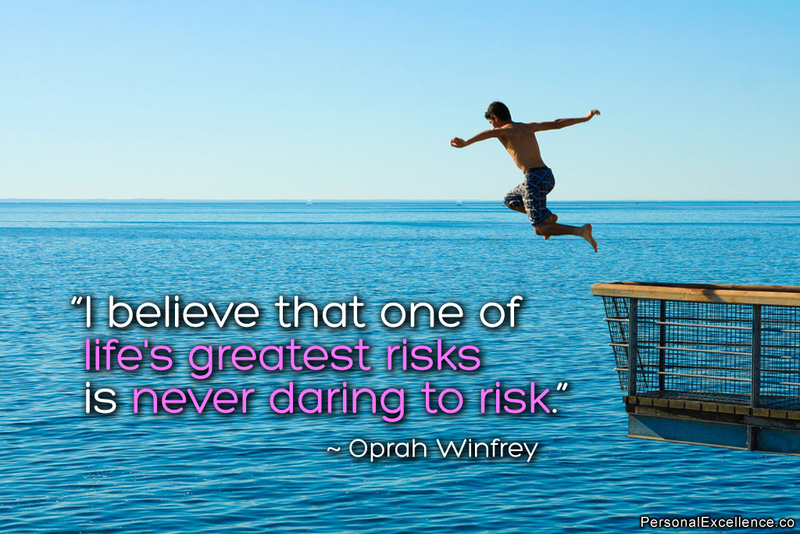 Not taking risk is the biggest risk of all. Pursue your dreams. Still better to be a happy failure than a miserable success. And who knows, it may easily work out better than that. What type of Multipassionate are you?